Believing in yourself can be a pretty hard task to do, what’s with all those negative feelings you had every day and how you will never amount up to anything in the world. Only that isn’t true at all. You failed to believe in yourself because you have troubles self-introspecting your worth and how you indeed have the potential to do all the amazing things and contribute to making the world an even better place. 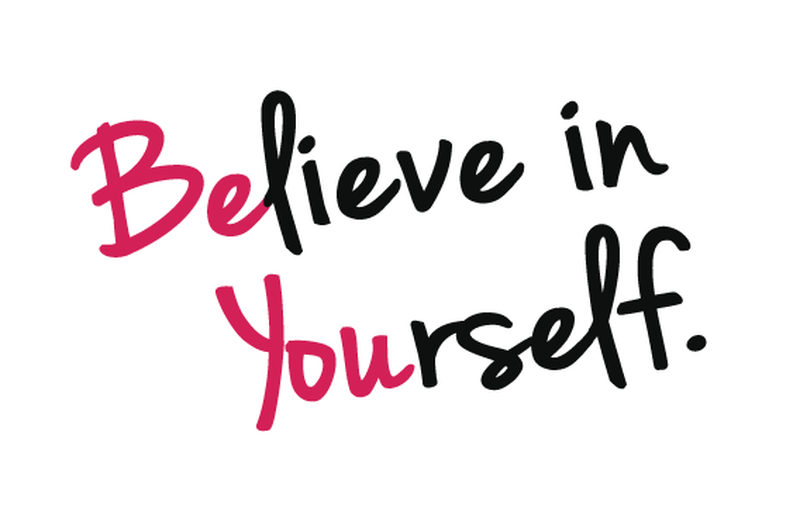 How to believe in yourself? There are tons of simple things you can start doing to get the perspective of your self-worth up. Read on. Unfortunately, we human beings have the natural tendency towards negativity, feeling that losses matter more than the wins, making us feeling more miserable since we count these failures as being more significant. Keep a gratitude journal of the sort, where you will capture all the wins you had at the end of the day. You can start with writing down the little victories you had of the past, then go on day to day, noting down anything you can consider a positive factor. There is no right or wrong, you just need to make it a habit to capture the many wins. This is to constantly remind you that you have done something incredible for someone or yourself in the past, and many more opportunities will pop up in the future. Maybe after sometimes, you will realize that the negatives don't matter as much as you think. We live in the era of internet. With the explosive development of social media on the internet, almost everyone is enjoying the online social activities. The fact is, however, this progress might instead eat away at your self-worth, be it getting jealous over your peers having a nice vacation in the Maldives or just something purely brainless like internet memes. Consuming them from time to time is relatively harmless, but as you start to compare yourself more with the better life others are having, it’s going to take a toll on your feeling of self-worth. The more time you spent on the internet is less time you have to improve yourself. If you could, see them as a motivation of how life could be and work towards that. Help others, make someone else’s day brighter and you will feel better about yourself. You will build confidence as you feel needed, wanted and useful all around for another person. Moreover, the volunteering experiences will give you more chances to socialize with a supportive community or to learn new things, be it a new skill or more about yourself. These acts of kindness might be just what you need to boost your mood. If you have people you respect or significant to you, someone you particularly don’t want to disappoint, their words are going to have a lot of weight to your self-perception. They might criticize you a lot, even when you do something you think is right, whatever it is, minimizing contact might be in your best interest. If you embrace any of the following: being unable to differentiate between opinions and facts, taking things too personally, then you might want to avoid these people for now. For the difficult part, sticking with the people that share your interest and values, the ones that will enhance and support your progress. Start believing in the people that have full confidence in you and you will find the motivation in that to be more confident. This is crucial for how to believe in yourself, as the more you understand what you are doing, the better you are at it handling it. This applies when you learn about yourself better, growing your self-awareness. Reads more, take part in workshops and seminars. Daily journals or therapy sessions are all valuable to understand yourself better. Investigate how humans work, how we are the cogs in the community. As you gain the knowledge, don’t forget to have the experience of using said knowledge to gain wisdom. With wisdom, comes the confidence in yourself. Set a goal you know you can and will achieve. The goals at the beginning don't have to be a major endeavor. Develop goals in line with what you can attain, short goals that will lead you on to something bigger, sort of like a skill tree in RPG games. For example, if you decide that being a teacher is your current career goals, then start with consulting your teacher, then towards learning how to talk in front of the crowd. Keep going and as you accomplish more, the more you learn along the way and the closer you are to that big goal you had in mind. Failing at something, at first, is the first step to eventually being good at that thing. Self-doubt will always be there, but as you stubbornly push onwards, you will learn to deal with it. Doubts are the barrier to the idea that you will have the future you want. It will pull you down every step you take, but they are merely thoughts and do not dictate your future. Things will go wrong, pick up the pieces and keep going. The less you, the less opportunity you are going to miss and your doubt becomes a self-fulfilling prophecy.